Spotted Rose: Race for Life ! I just thought I would let you all know what I did last weekend !! Puffing & Panting for 40 minutes about describes it ! 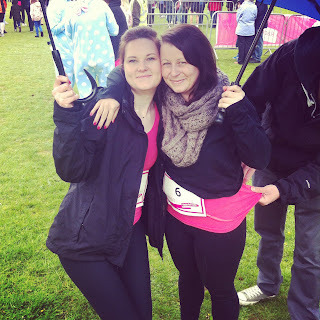 I took part in Cancer Researches Race for Life with my lovely Sister in Law! It was a wonderful journey of training ! My lovely other half decided he would support me and has been training with me, so I am so thankful for that ! I don't think I would have managed it with out him ! We downloaded the 5K app and it's really good because it starts you off really slowly, running for a minute, walking for a minute, that sort of thing ! Then gradually builds up over the weeks, until you can run for 35 minutes !! The atmosphere on the day was amazing and there were people on every corner cheering for you - it really kept you going ! My wonderful parents came to support us and our wonderful men too ! 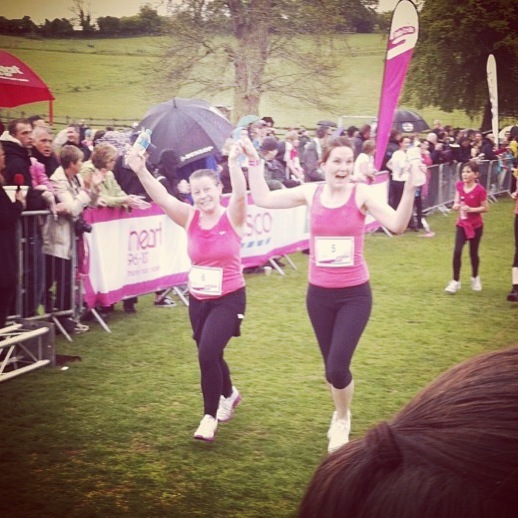 And here we are crossing the finishing line !! 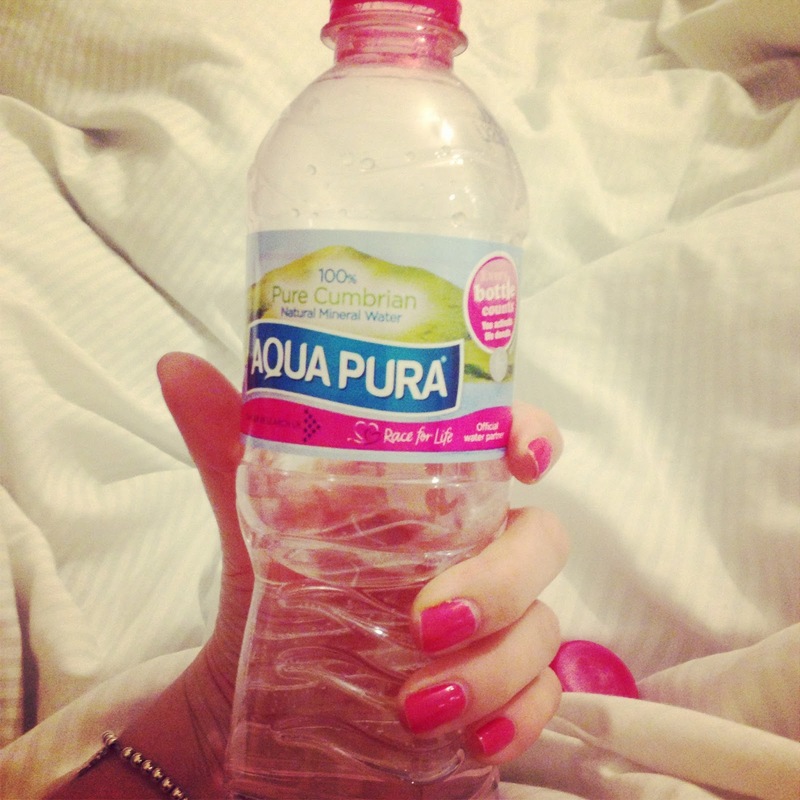 When we finished we got a lovely medal, a brioche and this fab PINK water ! 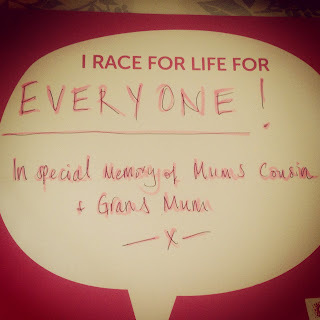 I raised a fantastic £200.00 for Cancer Research so thank you to all those who sponsored me - it really is a super cause and I highly recommend any of you ladies taking part in the future !! 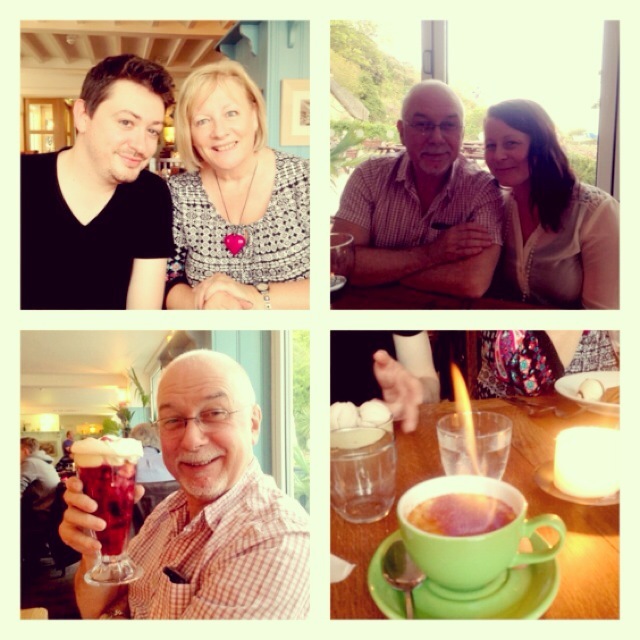 We finished off the day with a wonderful meal and delicious pudding of course at the lovely Lulworth Cove Inn. LOOK at my flaming creme brulee !